Well, I have received a lot of response to the three-part series I wrote on the ketogenic diet, so let me try to answer a number of questions that were posed to me. "I was watching your free health videos and also wondered how to do the Genesis diet and do Keto. So you said you quit Keto—do you still keep some parts like bulletproof coffee or bone broth? Do you do Genesis diet with higher fat or low-fat Genesis diet? Would love to hear more!" Answer 1: We have stopped following the ketogenetic diet for a few reasons. We did not experience much weight loss or improvement in health; and although you can do keto as a vegan, it is challenging. I am not comfortable eating a lot of meat. Meat and dairy are not part of the Genesis diet or the Daniel diet, which are both vegetarian diets. We have been largely vegetarian for the last 26 years of our lives. Not exclusively, but largely. I believe God gave us the vegetarian diet in Genesis 2 because He knew it was the best and healthiest diet for us. I agree. Many studies agree. As a matter of fact, here is an interesting article: The Evidence Against the Ketogenic Diet for Cancer. A summary comment in one of the studies this article links to is in full agreement with the Genesis Diet. We still drink bulletproof coffee in the morning, and I like bone broth and will use it from time to time. We eat healthy carbs and healthy fats, and avoid refined foods, sugar, GMO foods and go with organic foods as much as possible. We eat a meal at noon and one at 6:00. So our goal is to be fasting 18 hours a day. Seems to be working well for us. Question 2: "I am so addicted to sugar after spending a childhood of Cap'n Crunch, Froot Loops, Chocolate Co-co Krisps, and white bread sandwiches, ice cream, etc! I try to get off sugar and I try to get off sugar, but I'm so addicted. I have completely numb feet, partially numb hands, and I ache in the rain. How do I wean myself off sugar? I know what to do, I'm looking for the easy way!" Answer 2: Sadly, I'm not sure there is an easy way. You are right in calling it an addiction, and it can be challenging to break. But you are not doing it in your own strength, right? You have the power of the Spirit within you to help you cleanse and purify His temple, when you are ready to really get serious and do it. You will probably need to take at least a one-month fast from all types of sugar, including fruits and simple carbohydrates that immediately break down into sugar in your body. You will need to closely examine the labels of every processed food you eat, because the manufacturers know that Americans especially love their sweets and will eat more of anything that satisfies their sweet tooth. No sucrose, fructose, dextrose, lactose, maltose, galactose or anything else that ends in -ose. But also be very cautious about sugar substitutes! They can be as dangerous if not more so than sugar. Aspartame, saccharine, sucralose and other non-nutritive substitutes should also be strictly avoided. It would be best during this 30-day sugar fast to not use any sugar substitutes to remind your taste buds about all the other wonderful flavors they can enjoy. Once you have broken the addiction, there are many delicious recipes you can try that use healthy sugar substitutes such as Monk fruit, stevia and erythritol. Some you will like, some you won't. The many keto sites online offer many options. Experiment until you find a few standbys you can keep on hand to satisfy the cravings without damaging your health. Question 3: "How often would I cycle out of Ketosis?" When you begin the ketogenic diet, it is probably wise to stay on it for a couple of months before cycling off. We did. This lets your body completely convert over from carbs to fat as its basic fuel source. After this, you want to cycle out of ketosis from time to time, such as one day every one or two weeks. Another crucial difference between MMT and most other ketogenic diets is something called feast-famine cycling. Continuously remaining in nutritional ketosis can actually cause counterproductive side effects, and is likely not optimally healthy in the long term. The ketogenic cycling is implemented once you're out of the initial stage and your body has regained the ability to burn fat. At that point, you begin cycling in and out of nutritional ketosis by upping your carb and protein intake once or twice a week. After a day or two of "feasting," you then cycle back into nutritional ketosis (the "fasting" stage) for the remainder of the week. By periodically pulsing higher carbohydrate intakes, consuming, say, 100 or 150 grams of carbs opposed to 20 to 50 grams per day, your ketone levels will dramatically increase and your blood sugar will drop. Why is this pulsing so important? It goes back to the workings of insulin. The primary function of insulin is not merely to drive sugar into the cell but rather to suppress the production of glucose by your liver (hepatic gluconeogenesis). When you suppress insulin for too long, however, your liver starts making more glucose to make up for the deficit. The result? Your blood sugar starts rising even if you're not eating any sugar at all. In this situation, eating a high-sugar meal will actually LOWER your blood sugar (because you activated insulin, which then suppresses glucose production in your liver). In the long term, this is not a healthy metabolic state, and cycling in and out of nutritional ketosis will prevent this from occurring. Ketone test strips will let you know if you are in ketosis. To cycle out of ketosis, you lower your fat intake and raise your intake of healthy carbs to 100 or 150 grams for the day. Question 4: Is bone broth OK if you are seeking to avoid meat? Answer 4: Organic bone broth is good; grass-fed organic is even better. It heals the gut and is great for the skin. Check the ingredients to ensure it doesn't have yeast extract, as that contains MSG. Comments are not pre-screened before they post. 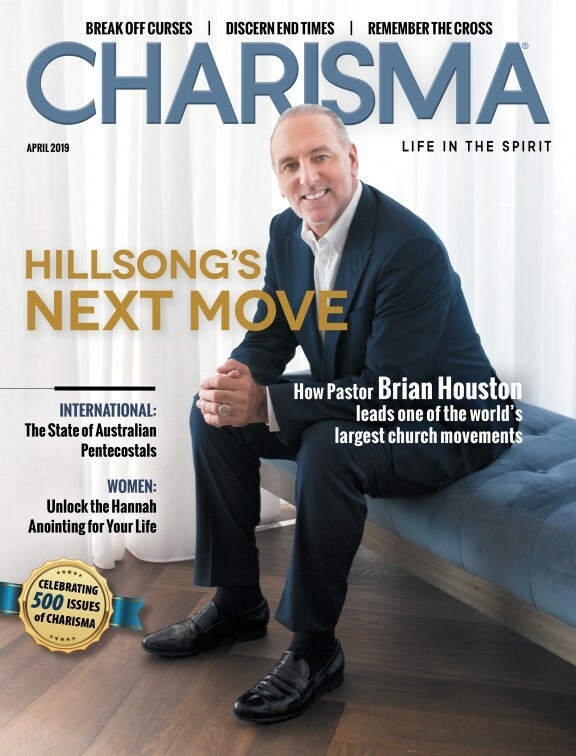 Charisma Media reserves the right to modify or remove any comment that does not comply with the above guidelines and to deny access of your Disqus account to make additional comments to the website without any notice. If you have been denied access to comment due to a violation of these terms please do not create multiple accounts in an attempt to circumvent the system. The correct course of action is to request a review of your account status by contacting [email protected]smamedia.com.